The Crow comic book creator James O'Barr made an appearance at the Lexington Comic-Con over the weekend, where he confirmed that Jack Huston is playing Eric Draven in the upcoming reboot. 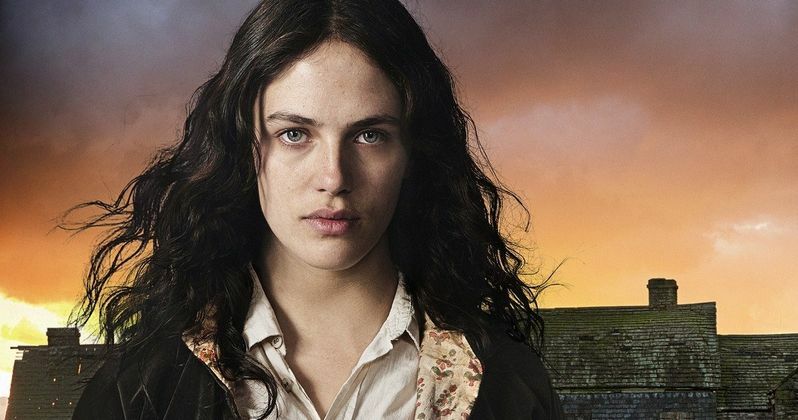 During a 45-minute panel session, he also confirmed that Downton Abbey star Jessica Brown Findlay will play Eric's fiancee Shelly Webster. Brandon Lee and Sofia Shinas played Eric and Shelly in the original 1994 adaptation The Crow, which follows Eric as he is brought back to life after he and his fiancee are murdered to exact his revenge. He also spoke about his experiences with Relativity Studios, who is producing the reboot, while offering praise for Jack Huston as Eric Draven. "Actually, I just came from L.A., straight here. Relativity Studios is producing it. I spent four days with the director, and I'm delighted with it. I've worked on a lot of movies, not a lot of them I'm proud of, but this is the first time I've ever sat in a board room with like 15 producers and they just shut the hell up and let me talk. No one interrupted me. They wanted to know what I needed, what the director needed, to make this happen, to make this a good film. I have a really good feeling about it. They've got a phenomenal star, Jack Huston, who most of you probably know from Boardwalk Empire. He's just an incredible actor. I couldn't believe he agreed to do it. It's like, well why don't we get Michael Fassbender to do it? Well, he doesn't really do those kinds of movies. He doesn't do these small-budget genre movies. So I'm really happy with Jack Huston, the director, who is very talented Corin Hardy. This is the first time in three years where I've thought this is actually gonna happen and it's gonna be really really good." He also revealed that the project isn't exactly a reboot, saying a "re-imagining" would be a better term for it. "First of all, it's not really a reboot. There really isn't a proper word for it. A re-imagining is probably closer, but this new film is going right back to the book, right back to the source material. It's not a remake of the Brandon Lee film, it's an adaptation of the book. Obviously, there are a lot of similarities, so it's not going to just completely ignore the Brandon Lee film. It's just going to be a completely different animal altogether. It will probably be closer to Taxi Driver than what the Brandon Lee film was. No stylized violence, and, like I said, it's going to be a page-for-page adaptation, with all the visual metaphors, the horses and the trains and barbed wire and empty chairs and open windows." Production will begin this spring in Belgium, which will be standing in for Detroit. Much like the original adaptation of The Crow, James O'Barr was given full control of choosing the soundtrack, which will include songs from Joy Division that are referenced from the book. He also hopes that the project leads into a new sequel, with the second film showcasing a female Crow, most likely Iris Shaw from the 1996 graphic novel The Crow: Flesh & Blood. Another possible sequel will be based on The Crow: Dead Time, featuring a Native American named Joshua, set during the Civil War. Take a look at James O'Barr's full video from the Lexington Comic-Con panel.